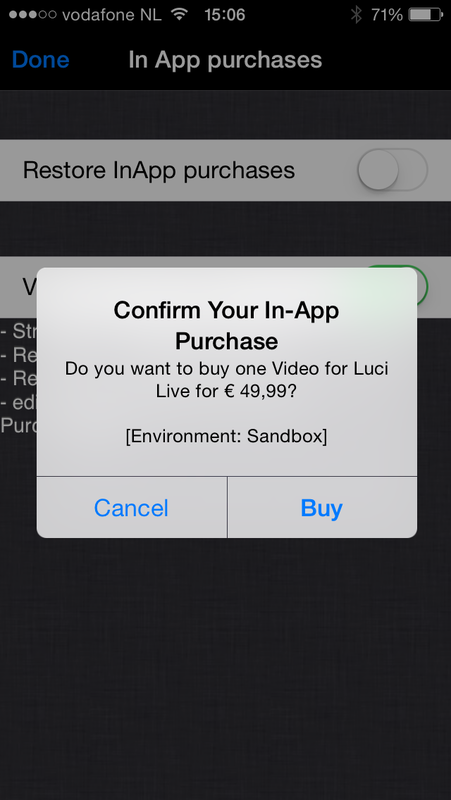 To be able to use the Video functionality in LUCI LIVE, you will need to purchase this option i.e. extra app from the appstore. 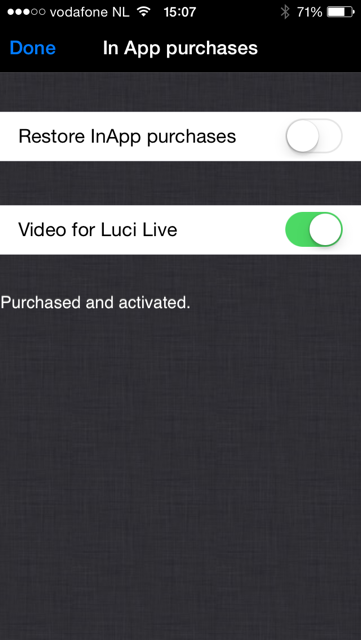 Therefore open the Settings panel in LUCI LIVE and choose the In App purchases option. Please follow the on screen steps below. Tap settings in the main screen in order to alter or adjust your settings. From the settings menu in LUCI LIVE you can create a new station. Do check the extensive iOS manual LUCI LIVE for the general set up of LUCI LIVE. We left these steps out of this How To Guide. Step 1: go to settings menu via tapping the setting button. Step 3: + add station (left below). Step 4: custom station (if you need to set up a new station). Step 5: name untitled station. Step 6: Choose Audio -> protocol. 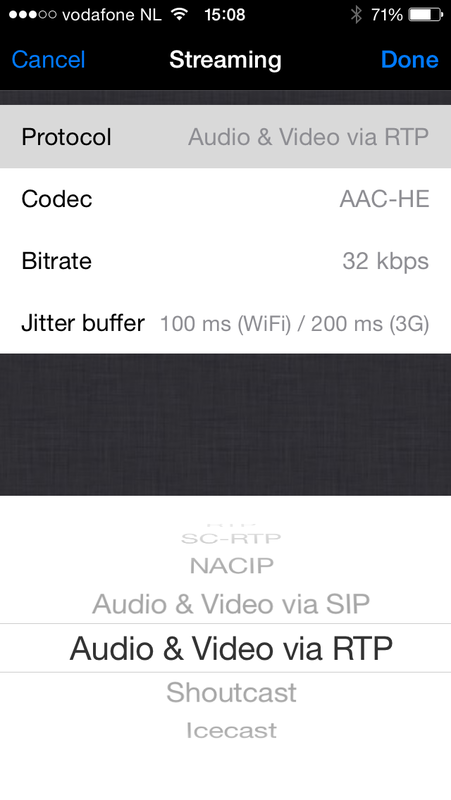 Then your Streaming screen pops up and you can adjust your protocol in Audio & Video via RTP. There is no restriction to the Audio Output formats. All the different Audio formats can be used in combination with the Video option. The Video Resolution and bitrate can be adjusted. This manual does not cover how to connect to a station, for this we refer to the Manual for LUCI Live – iOs. 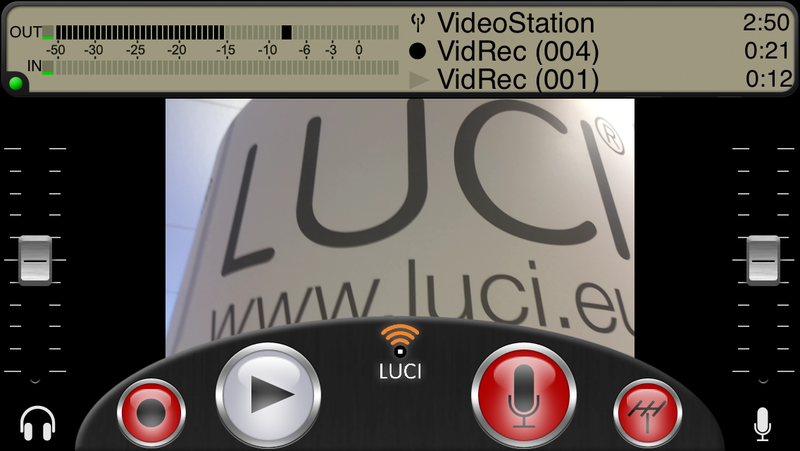 The picture shows the user interface of the LUCI LIVE Video application when the camera is not switched ON. The main window of the LUCI Live application switched to landscape view from the moment the Video resolution is chosen. 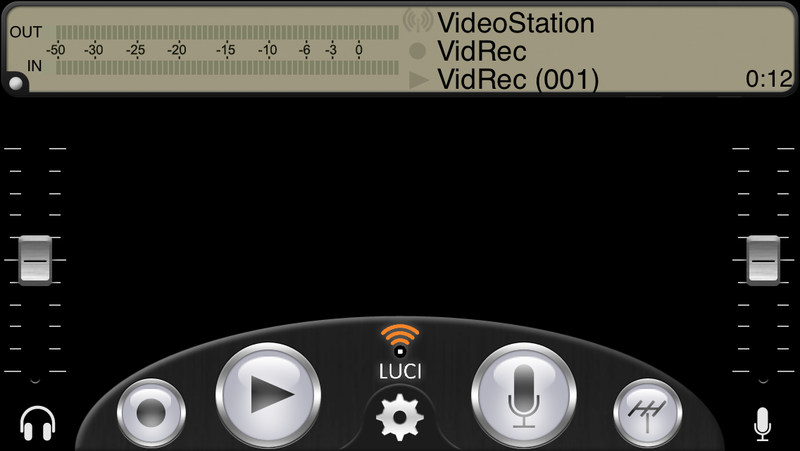 The utility of the main user interface is equal to the Audio-only version, the explanation can be found in the Manual for LUCI Live – iOs. 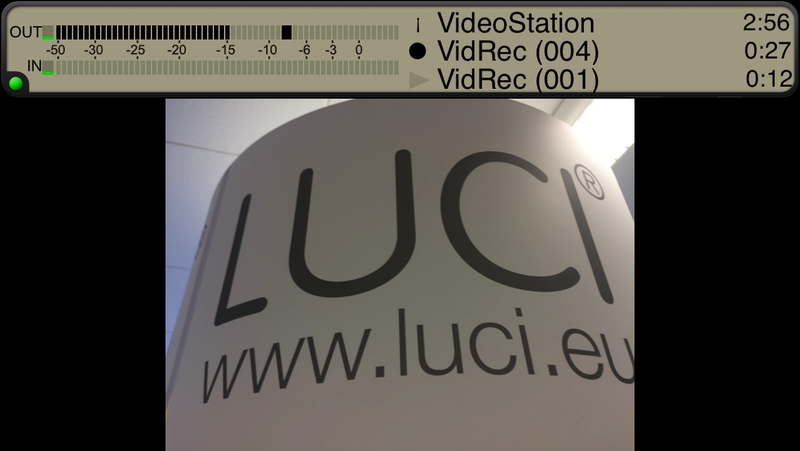 The picture shows the user interface of the LUCI LIVE Video application when the camera is switched ON and the connection is established with the station. • The Antenna button indicates the connection is established. • The Mic button indicates the camera + microphone are ON. • The recording button indicates that the video information is also recorded to the device memory. 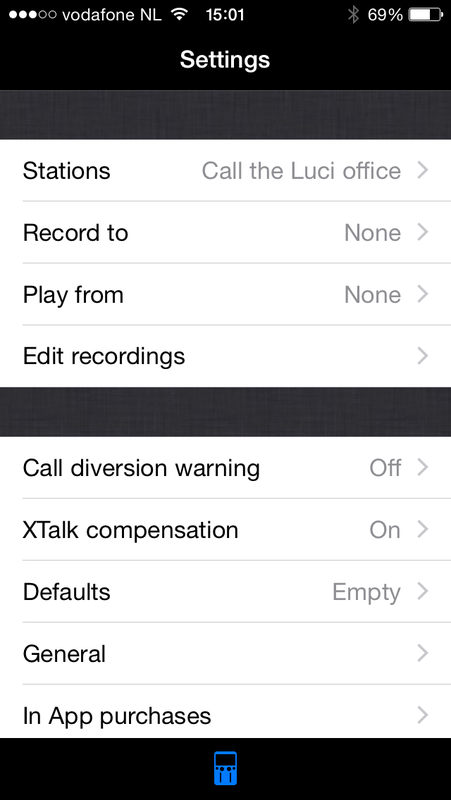 After two seconds during recording / transmission the control bar of the LUCI LIVE application will disappear. This will give the user a better view of the recording screen. To activate the control bar, just tap on the main screen.